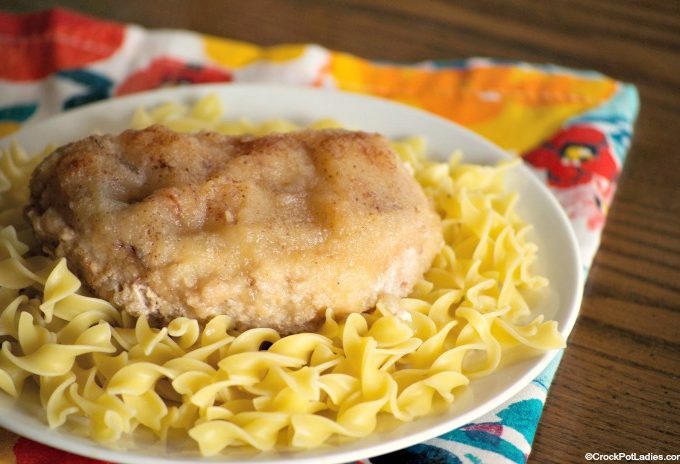 This recipe for Crock-Pot Bourbon Apple Pork Chops is to die for! 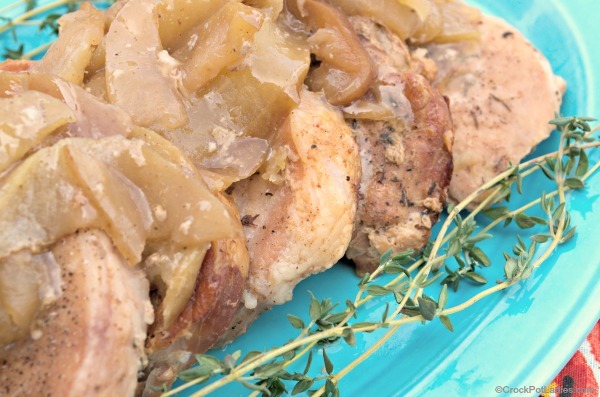 Savory chops are cooked in a great sauce filled with fresh apples spiked with bourbon. 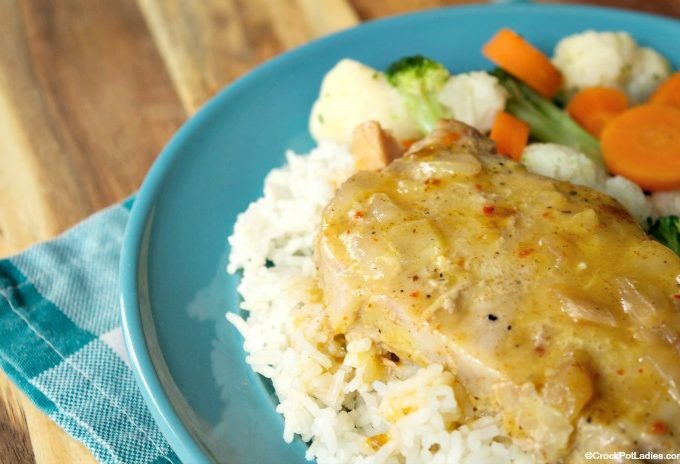 With just 5 ingredients this quick & easy recipe for Crock-Pot Creamy Italian Pork Chops is simple to put together & the pork chops come out so flavorful! Pork chops are simmered away in the slow cooker with onions and bell peppers in a homemade tangy sauce in this recipe. 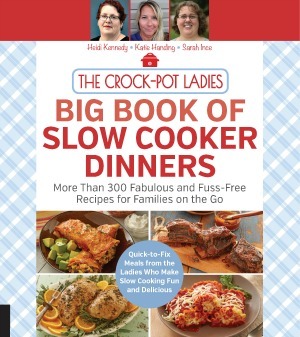 Serve the tender fall-off-the-bone Crock-Pot Sweet & Sour Pork Chops over fried rice or noodles for a quick and easy dinner. 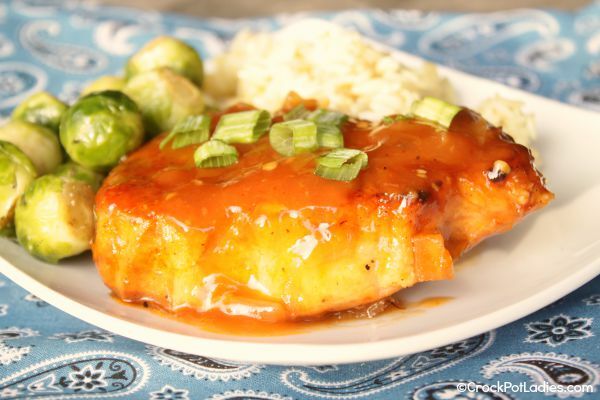 Moist and juicy pork chops are slow cooked in a simple peach sauce laced with whiskey. This recipe for Crock-Pot Peach Whiskey Pork Chops has only 5 ingredients and is a snap to prepare so you can have dinner on the table with little effort!